I got an invisible zipper foot for Christmas. And it works! 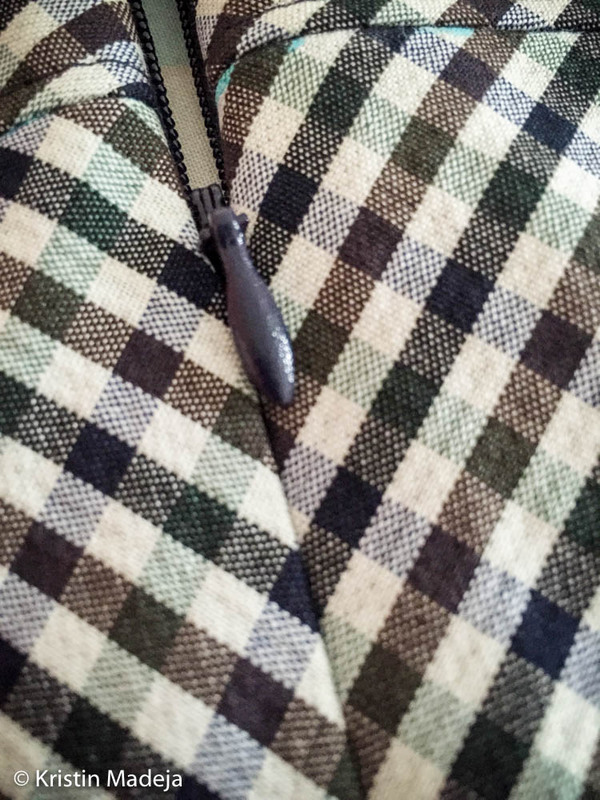 You can sew an invisible zipper with a normal zipper foot, but it’s never quite close enough. The specialized foot is makes a perfect zipper! I had some leftover quilt squares and fabric from making the quilt for the day bed and the window valance which inspired the whole room. So I am finally getting around to making pillow cases to match. They are also quilted on the front. I pieced the front, added some leftover batting and cut up an old sheet for the backing. This was all quilted together with the same twin needle technique I used on the quilt. Then I added the backing fabric and sewed it all together. Now all we need to do is cover the headboard and mount it on the wall. I don’t get to make many things for my husband. But this fun record fabric was just for him. He wanted a drawstring bag to carry his new headphones in. 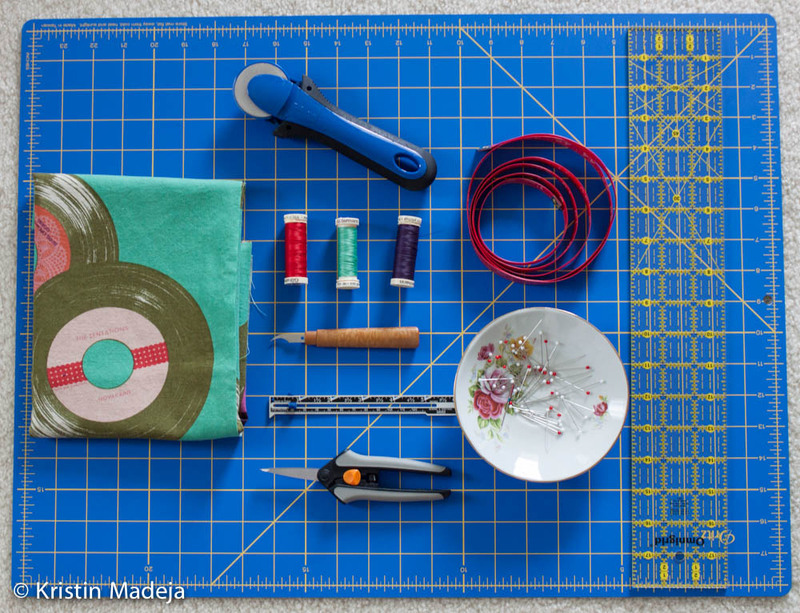 Now that we are feeling settled at home again, I am ready to pull out my sewing machine and work on a few projects. 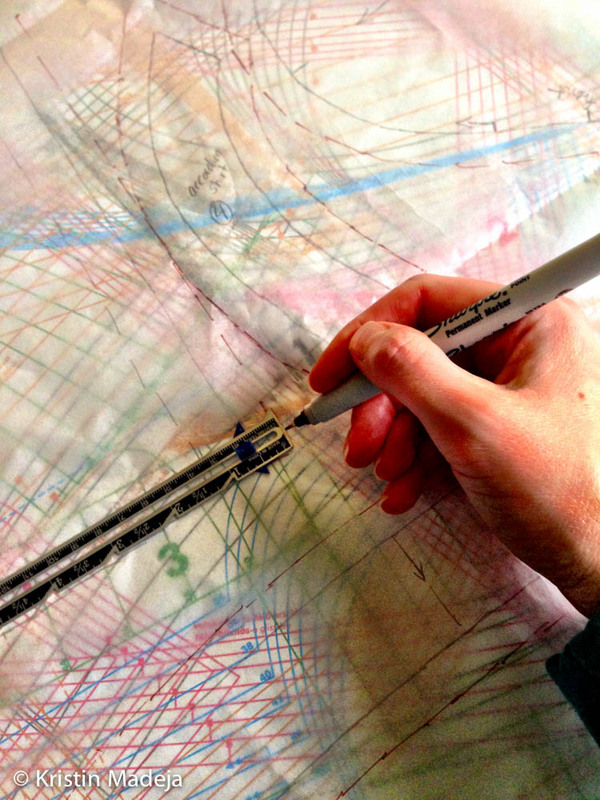 I spent the day tracing and adding seam allowances to a number of different patterns from the new Ottobre magazine. 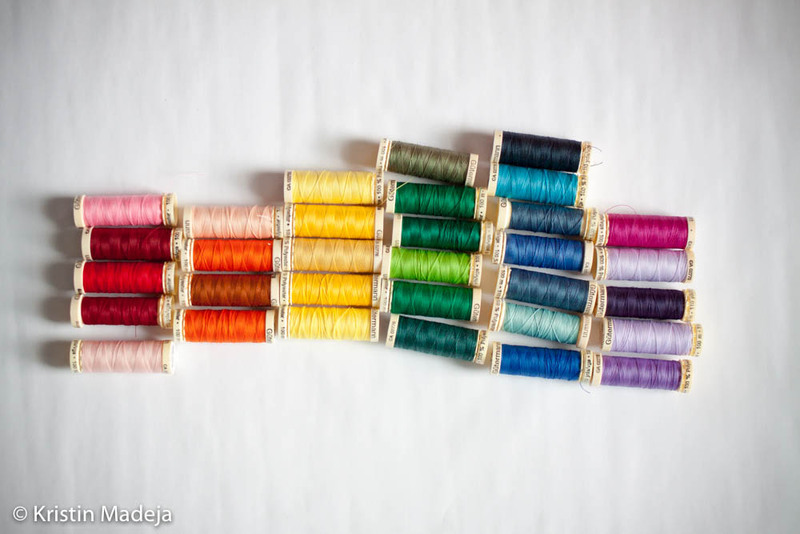 A few tricks for sewing with metallic thread that I learned online: Use a needle with a larger eye (size 90 or 100). 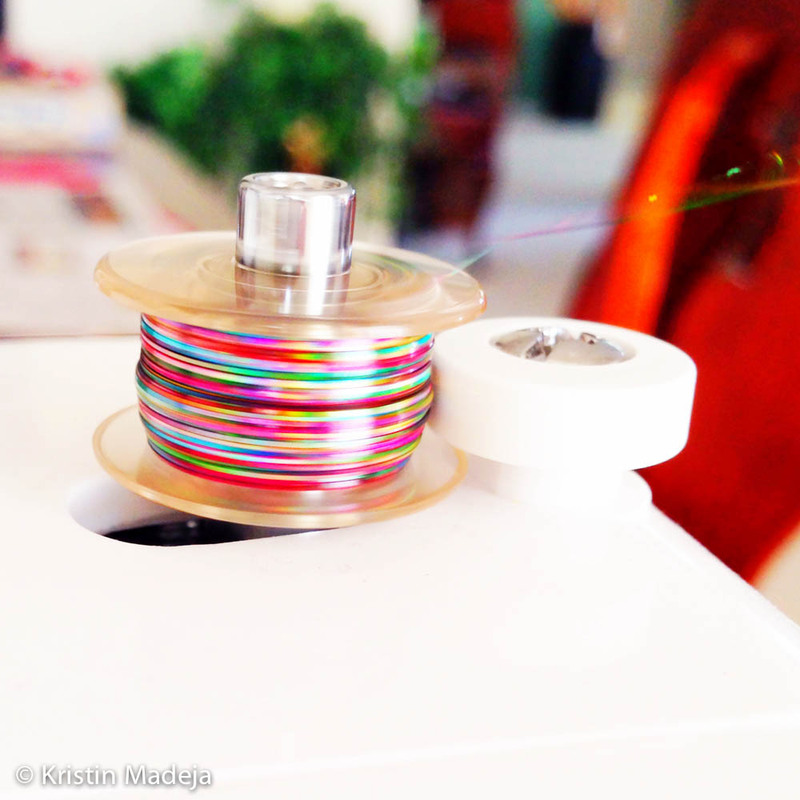 Set the tension loose–on my machine that is level zero or one. Sew S-L-O-W-L-Y. Seriously. SLOW. Boring slow. 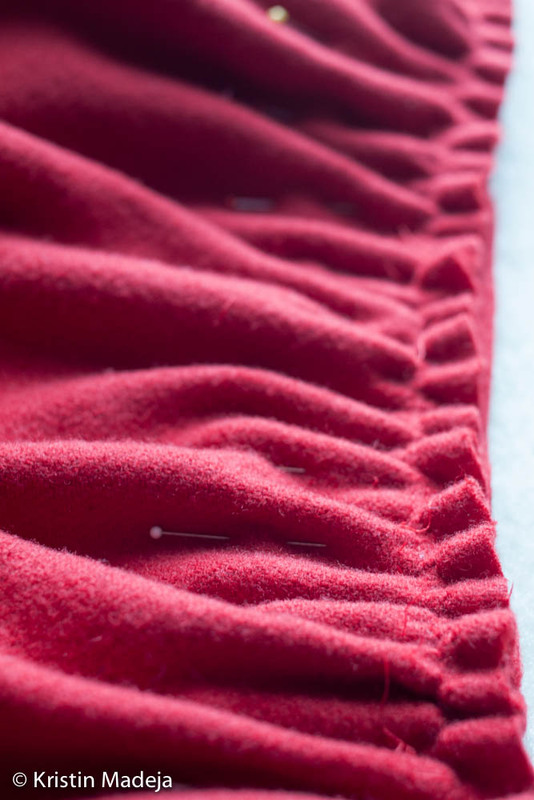 Finally, test a sample on scrap fabric before you start your project. I did all of these and never had any breakage! Yay! I finished this Alma blouse by Sewaholic. 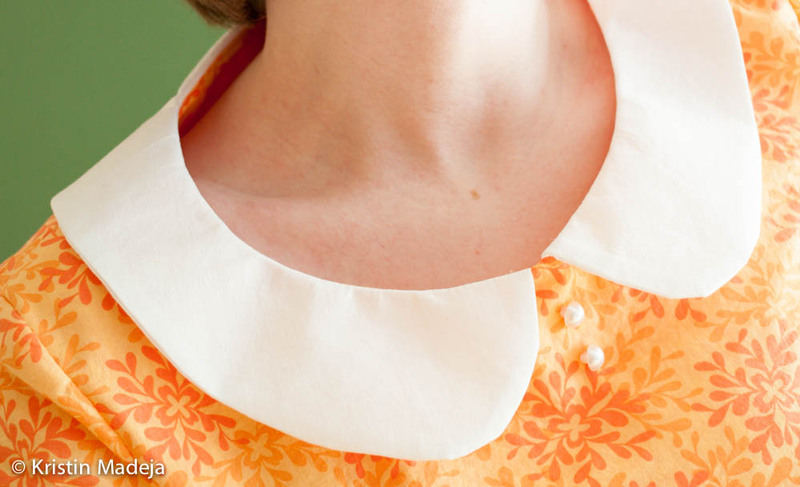 It’s a simple pattern and I love the contrast peter pan collar. Highly recommend! 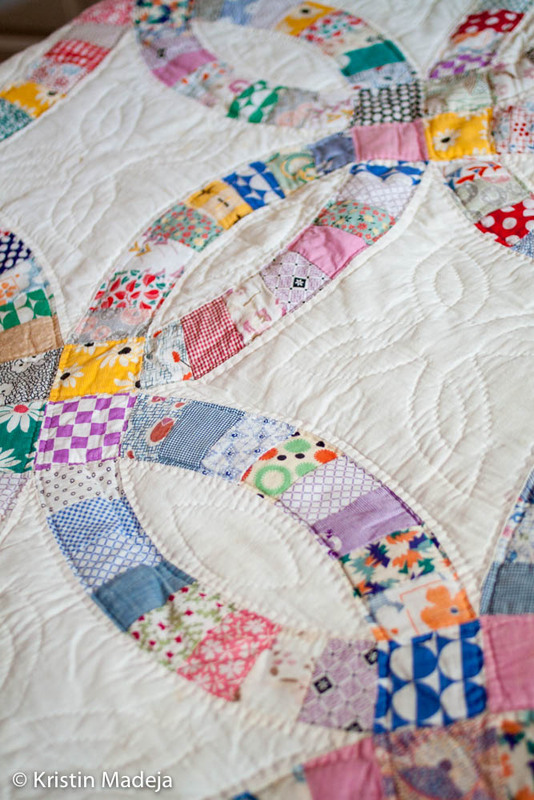 Twin needle quilting is not traditional, but it looks great! I think it adds a professional level to the front. 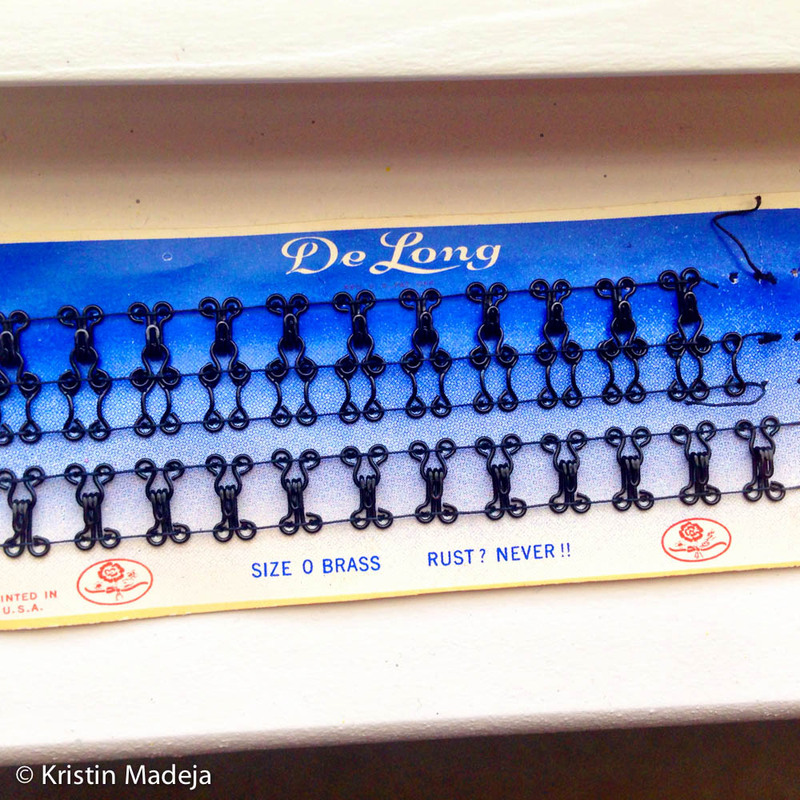 On the back, the bobbin creates a zigzag effect, which some don’t like. 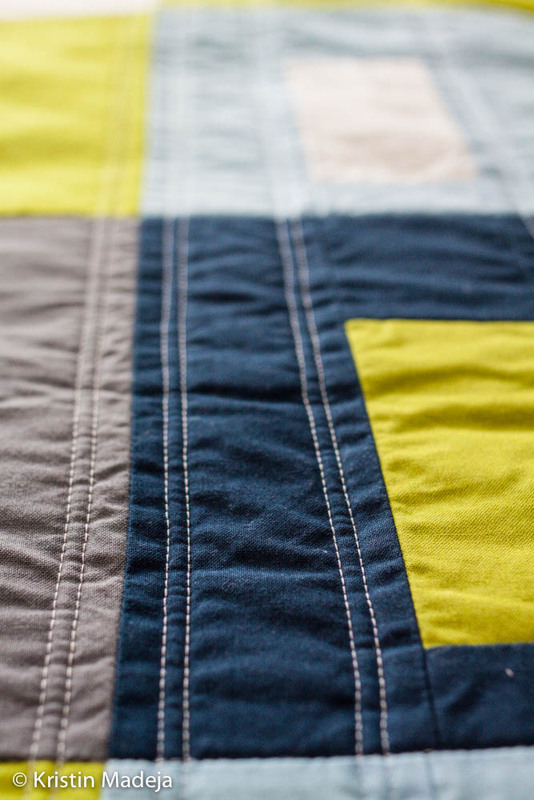 For my modern quilt with a (boring) solid background, I appreciate the texture it adds. 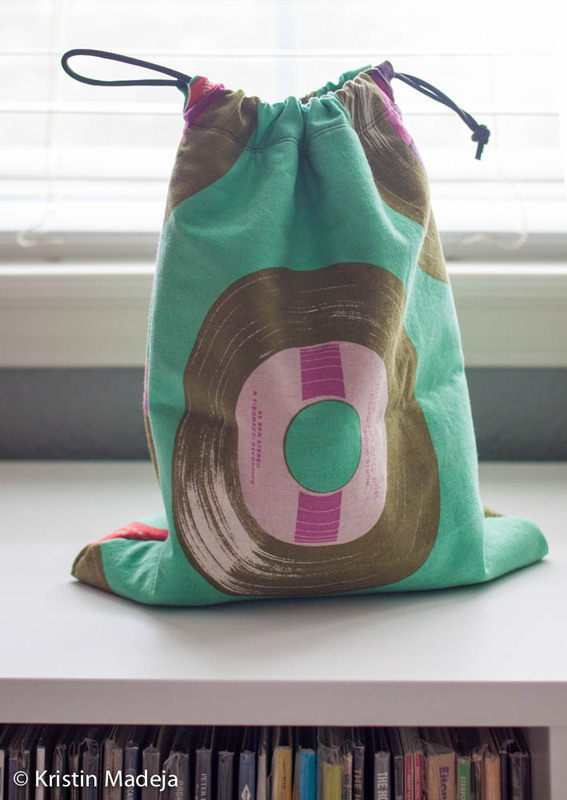 I found this cute fabric at my favorite online fabric store, Pink Chalk Fabrics. 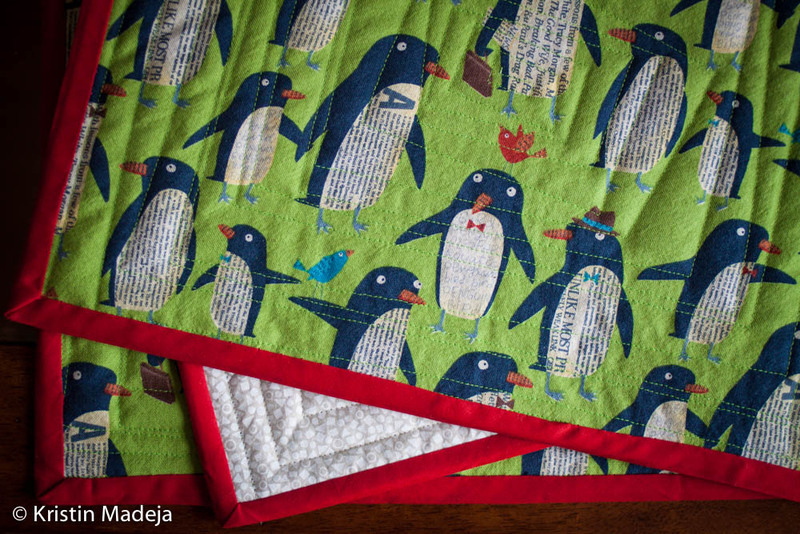 Who wouldn’t buy these cute penguins who are off to work with type on their bellies?!? I finally got around to making place mats with them and quilted them with a crazy square round and round style. Those strips are turning into squares. 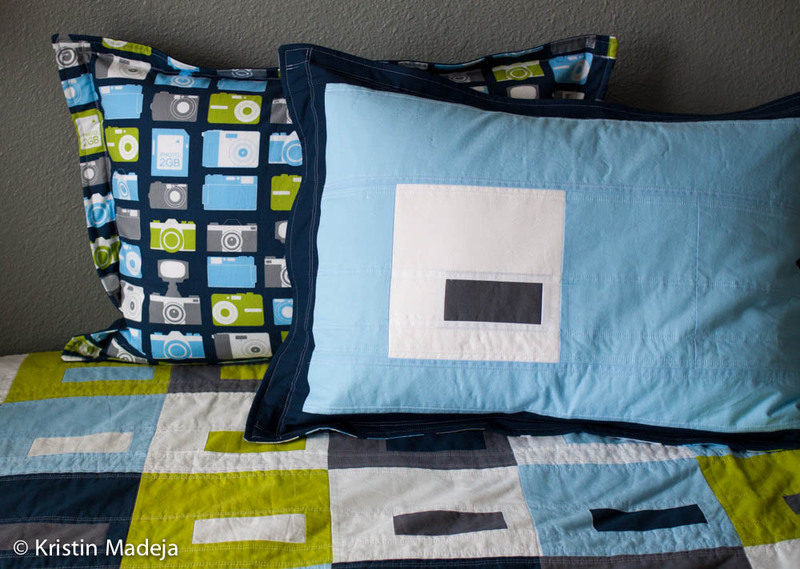 I am continuing work on our new hobby room by making a quilt for the twin bed in there. Eventually it will have a headboard and be a daybed. 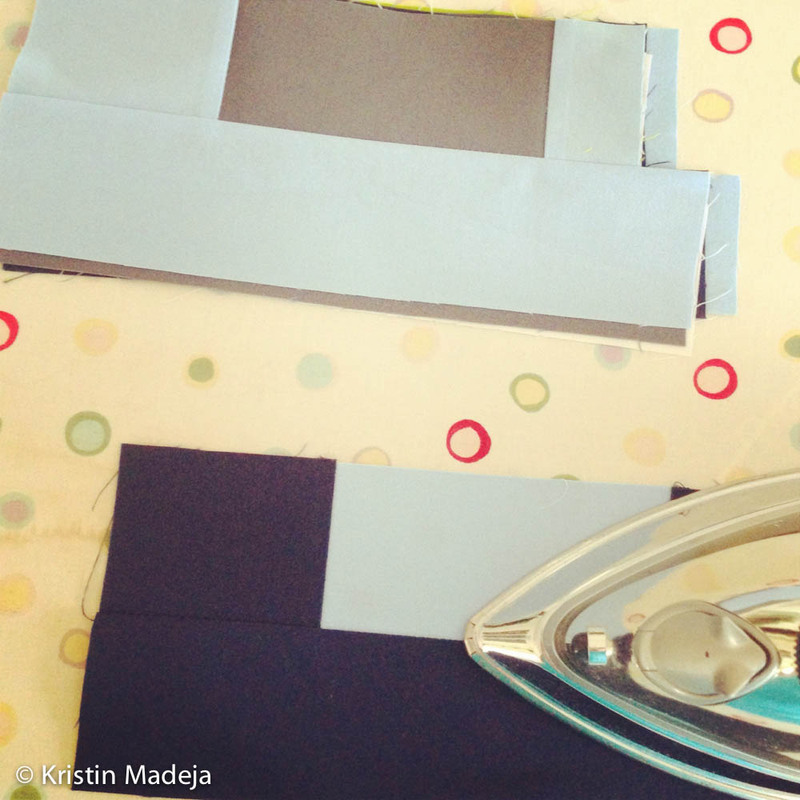 In the meantime, I am working on a “modern masculine” quilt based on the colors in the window treatments: grey, sky blue, navy blue, bright green, and white. I found the pattern at the Moda Bake Shop. 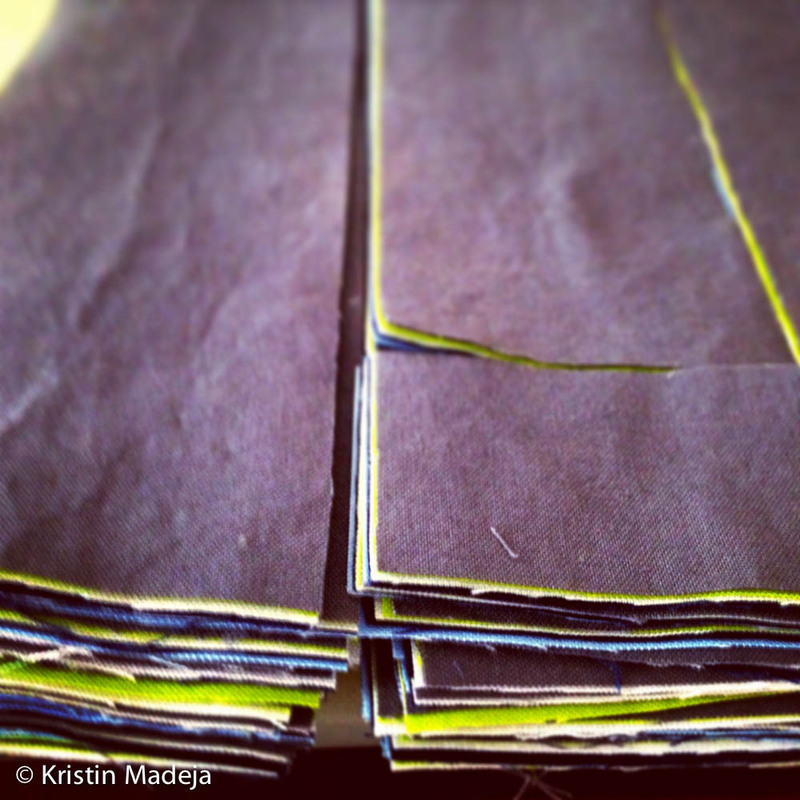 But rather than using precuts, I purchased solid yardage and cut all the squares myself. 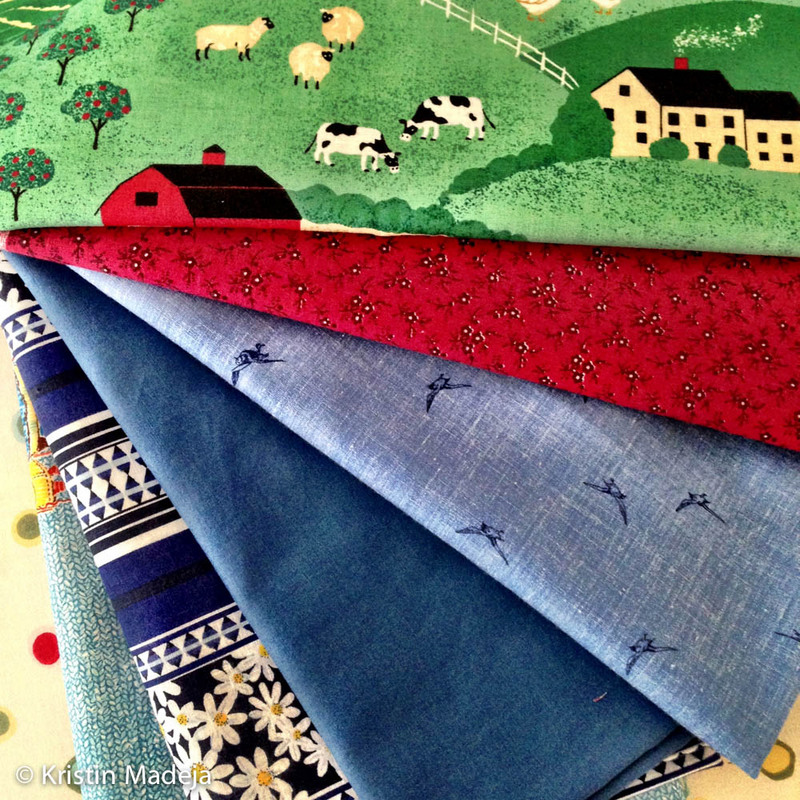 My mom lets me raid her fabric stash when I visit. A lot of it is leftover fabric from Grandma. I think I am going to make a shirt with the yard of blue with birds on it.